The Dutch Impact Party is an annual highlight of the ILMC schedule, offering as it does a magical combination of food, booze and tunes. With showcases from three of the hottest new musical exports from the low country, Lewsberg, EUT, and Canshaker Pi (scroll down for more info), come and join Dutch colleagues and the wider live music industry for a mesmerising evening at a Grade II-listed public house. The Greyhound boasts a huge selection of cask ales, and with it being just a few minutes walk from the Royal Garden Hotel, you won’t even need to rev up your broomstick. Lewsberg are a four-piece rock group from Rotterdam, who take their name from writer and fellow Rotterdammer Robert Loesberg, famous for his dark and subversive 1974 novel Enige Defecten, which, with its theme of counterculture and big-city cynicism during the 1960s and 1970s, is a huge source of inspiration for the band. After putting out The Downer ep and single Non-fiction Writer in 2017, Lewsberg released their self-titled debut full-length album in the Netherlands in 2018. Nine rudimentary and repetitive rock songs, full of a tough, nonchalant intensity. The English lyrics, delivered with a heavy Rotterdam accent, show a tendency towards existentialism and black humour. The album will be re-released worldwide in January 2019. Bursting onto the independent music scene with a bold new attitude, Amsterdam’s EUT bring a fresh dose of energy to 1990s nostalgia. Drawing on influences from bands such as the Pixies, Yeah Yeah Yeahs, Blur, Weezer, Hole, Wilco and Beck, EUT met at art college in 2016 and haven’t looked back since. Fronted by charismatic whirlwind front woman Megan de Klerk, the band combines beautifully crafted songs with captivating melodies, catchy pop hooks and immediate lyrics on topics such as youthfulness and coming of age. Part of a local scene that includes breakout band Pip Blom (now signed to iconic British label Heavenly Recordings) EUT are at once dynamic and intriguing, without sounding too polished. The band started to make waves internationally after playing packed shows at the latest editions of Reeperbahn Festival in Germany and Les Transmusicales in France. 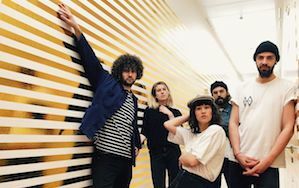 Their sparkling and stunning new indie-pop single Supplies was recently picked up by BBC Radio 1’s Jack Saunder’s as a ‘Next Wave’ track and is starting to build momentum on UK radio. EUT’s debut album Fool For The Vibes will see a UK release later this year. Beneath their fidgety, high-strung stage antics simmers a piercing intensity, one that perhaps comes with a creeping awareness that the days of being young, wild and free will eventually pass. Canshaker Pi frantically capitalise on their youthful zest with a relentless now-or-never stride. 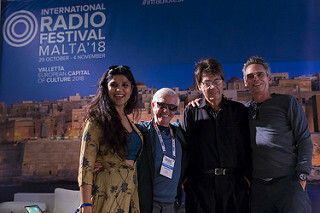 The 9th edition of the International Radio Festival (IRF) took place at in the European City of Culture 2018 – Valletta, Malta – from 29th October to 4th November. Celebrating the world’s most sociable medium – music radio, IRF is the world’s leading industry conference and public on-air event to showcase and debate the curation and business of music radio content. The IRF Malta edition proved that radio is very much alive and kicking and explored the way major broadcasting organisations are tackling the changing nature of audio consumption; alongside the challenges of podcasting and on-demand audio, with industry experts and leaders from broadcasters, production and technology companies. The week started with 2 days of with programs about the host country Malta broadcasted live from the historic Piazza D’Armi in Fort St Elmo. Guided by IRF anchors Carly, Gaby, Nik and Normski programs included; Heritage Malta’s taste Maltese and Mediterranean history with Liam Gauci, multidisciplinary artist Ruth Bianco and Maltese architect Claude Borg talked about The Malta International Contemporary Art Space (MICAS), Malta’s premier lifestyle magazine TEMPLE talking about their favourite things in Malta and D’Amato Records, the oldest record store in the world, taking listeners on a mesmerizing trip back into the past. Plus lots of fun and great music from Maltese radio stations Bay 89.7, Magic Malta 91.7 and Vibe FM. Wednesday marked the start of the international radio shows kicking off Halloween with an actual knight, BBC broadcasting legend Mike Read who joined pirate radio pioneer Tony Prince for the UDJ’s show. Other stations getting involved included 102FM Tel, Aviv, Hits Radio (UK), Like FM (Russia), Rai Radio 3 (Italy), Pride Radio (USA) and Kasheme Zurich (Switzerland). In the evening IRF held a reception to honour the host country Malta with Guest of honour Minister of Tourism, Konrad Mizzi. In a speech Konrad said “the event was a celebration of different channels coming together and I am delighted to be hosting it in Malta’ He continued “Malta has changed to become a city destination with a host of culture and nightlife and is a very welcoming place for holidays and business’. On Thursday the live international radio broadcasts continued with Italy’s non-profit radio project for teenagers Radio Immaginaria, egoFM, (Germany), IFM (Tunisia), TRT (Turkey), Kronehit (Austria), Rising Star’ winner in the recent Mixcloud online radio awards Piñata Radio from France and influential pirate radio station Flex FM who’s phone lines jammed with the high number of calls. The broadcasts also received huge amounts of listeners almost crashing the website. Other highlights included a pop event by local promoter district with Ibiza Sonica at the Sky Bar and a Medieval Banquet at The Maritime Museum to sample the history and flavours of Malta. Listen to how the world sounds. 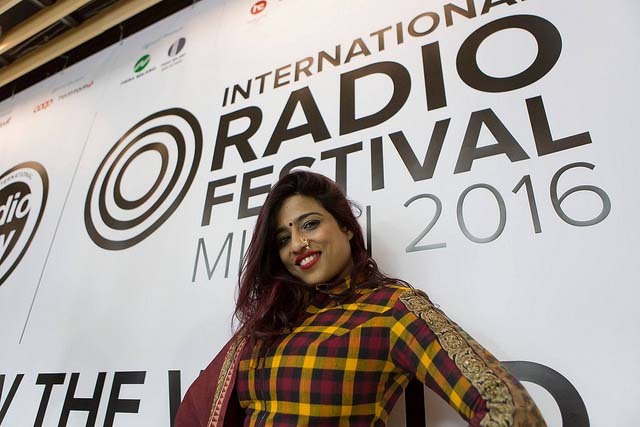 The International Radio Festival (IRF) is all about Music Radio Content. The IRF was founded in 2010 to specifically celebrate radio’s on-air influencers and their production teams who command the trust and loyal “ear” of billions of listeners around the globe, and is unique in that the conference format offers invited radio stations the opportunity to showcase their chosen programme formats to attendees whilst simultaneously broadcasting said programmes live-on-air from the conference back to their home audiences, thus reaching millions of global listeners and making the IRF the largest media event of its kind. With superbly sunny weather, fantastic Mediterranean food, a thriving nightlife and events calendar and 5,000 years of intriguing history, the Maltese archipelago attracts visitors from all around the world all year long. The island country has a plenitude of exciting landscapes, sport activities, historical spots, events, family entertainment programmes, restaurants, and much more to discover and to be cherished. The Malta Tourist Authority helps you to make your visit truly unforgettable – for pleasure or for business. 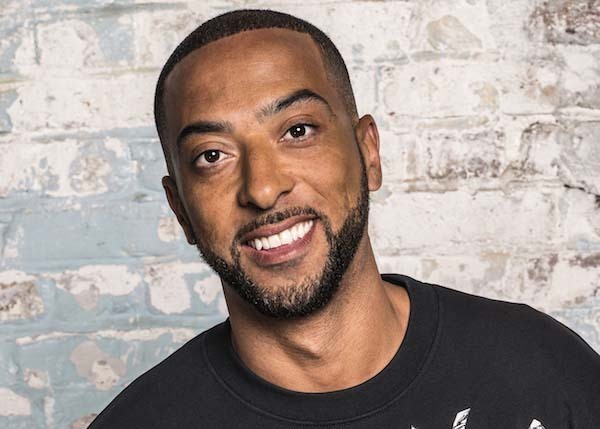 BBC Radio 1, BBC 1Xtra, Jazz FM, MiSoul, Fun Kids, United DJs, Hits Radio and Flex FM are just some of the radio stations taking part in the International Radio Festival in Malta this year. They’ll be broadcasting live from the Piazza D’Armi in Valletta, reaching over 100 million potential listeners around the globe. Now in its 9th year, this international broadcasting event represents the first and only global conference to debate and showcase the business, production and curation of the world’s most consumed medium – audio/radio content. The IRF’s unique conference format presents industry leaders from the world of broadcasting and audio production and features more than 30 international radio stations broadcasting their programmes live-on-air across Malta and the International Radio Festival DAB+ channel and also to their peers and home audiences, reaching over 100 million listeners around the globe. Radio stations taking part in this year’s event include Bay Radio, Vibe FM, XFM and Magic FM from the host country Malta alongside international stations Ego FM (DE), Le Mouv (FR), M20 (IT), Teenage Radio Immaginaria (IT), Kasheme – Lounge (CH), LikeFM (RU), Radyo 2 -TRT FM (TU), Ibiza Sonica (ES), Kronenhit Radio (AT), IFM (TU), 102FM Tel Aviv (IL), The Big Time (USA), Pride Radio (USA), Kiss FM (AU), Love Radio (CN), plus Sound of India Contest winner RJ Devanki and Mixcloud online radio award winners Dublin Digital Radio (IE) who won ‘Best Online Radio Station’ and Pinata FM (FR) who won ‘Rising Star’ – Listeners Choice award. As well as the live radio broadcasts The Malta edition of the International Radio Festival’s B2B Forum takes place at the historic Mediterranean Conference Centre on 1st November. BBC R&D’s Executive Producer Nicky Birch will cover developments in voice-first audio formats, while international radio consultant John Simons will lead a panel on the rise of niche radio services from rock to jazz. The Conference will also include a celebration of ten years of the UK’s Absolute Radio, with its Content Director, Paul Sylvester; and a look at how audio services are re-inventing radio from Xanthe Fuller, Head of Community at Mixcloud. Martyn Ware – founder of The Human League and Heaven 17, with a 40-year career as a leading record producer – will be talking about his work past and present, including designing and composing ground-breaking 3D-soundscapes. The use of Blockchain technology in the audio world will be explored at the International Radio Festival’s Audio Conference in Malta. Led by Cliff Fluet, a digital lawyer from London-based law firm Lewis Silkin, the session will lead the way in the exploring how blockchain can benefit the radio industry. 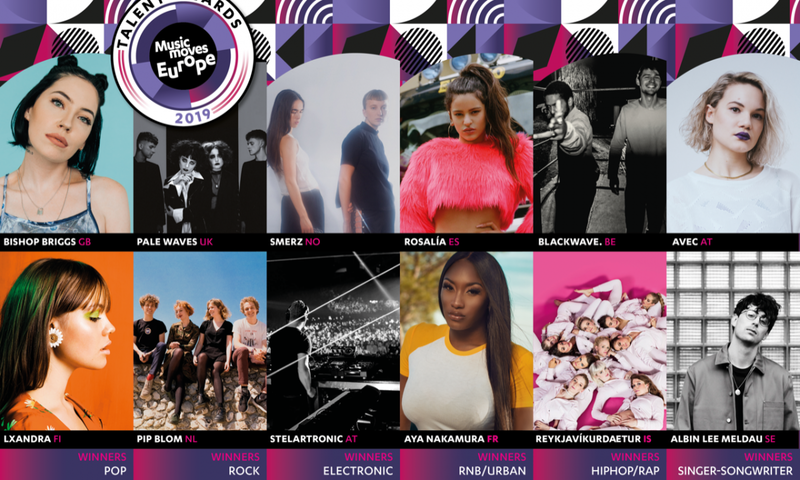 The International Radio Festival (IRF) is pleased to announce the final line up of international radio stations broadcasting their programmes live-on-air to their peers and home audiences, from the Piazza D’Armi in Valletta, reaching over 100 million listeners around the globe. Radio stations taking part in this year’s event include Bay Radio, Vibe FM, XFM and Magic FM from the host country Malta alongside international stations; BBC Radio 1 (UK), BBC 1Xtra (UK), Jazz FM (UK), MiSoul UK), Fun Kids Radio (UK), United DJ’s with Tony Prince (UK), Hits Radio (UK), Flex FM (UK), Ego FM (DE), Le Mouv (FR), M20 (IT), Teenage Radio Immaginaria (IT), Kasheme – Lounge (CH), LikeFM (RU), Radyo 2 -TRT FM (TU), Ibiza Sonica (ES), Kronenhit Radio (AT), IFM (TU), 102FM Tel Aviv (IL), The Big Time (USA), Pride Radio (USA), Kiss FM (AU), Love Radio (CN), plus Sound of India Contest winner RJ Devanki and Mixcloud online radio award winners Dublin Digital Radio (IE) who won ‘Best Online Radio Station’ and Pinata FM (FR) who won ‘Rising Star’ – Listeners Choice award. As well as the live radio broadcasts The Malta edition of the International Radio Festival’s B2B Forum takes place at the historic Mediterranean Conference Centre on 1st November, covering the hottest topics in the global audio and music industries. BBC R&D’s Executive Producer Nicky Birch will cover exciting developments in voice-first audio formats, while international radio consultant John Simons will lead a panel on the rise of niche radio services from rock to jazz.